When it comes to great all-American fare, there are numerous places to head to for a classic burger and fries or hot dog heaving with pickles and chili. It’s the long-standing chains and franchises that have stood the test of time that tend to deliver fantastic food as they have for decades. Big John's Steak & Onion, also known as Steak and Onion, is a regional sub sandwich chain that is renowned for their steak and onion sandwiches. Named after founder John E. Klobucar’s nickname, Big John's Steak & Onion serves incredible sandwiches and subs with a variety of fillings ranging from prime steak and cheese to cold cuts. Their signature sandwich is the Brotherly Love Super Steak & Cheese, which is packed with freshly sliced grilled rib-eye steak and onions and white American cheese on top of a seeded Italian roll and served with a side of tangy red sauce. 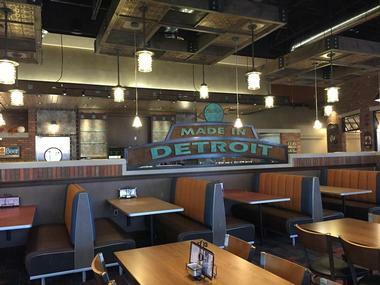 Big John's Steak & Onion has 15 stores across Mid-Michigan. Buddy's Pizza is an independent pizza restaurant chain based in Detroit, Michigan with 11 restaurants dotted about the greater Detroit metropolitan area. Founded in 1946, the restaurant chain is renowned for their traditional Sicilian pies and Detroit-style pizzas, which are baked in cast-iron pans. 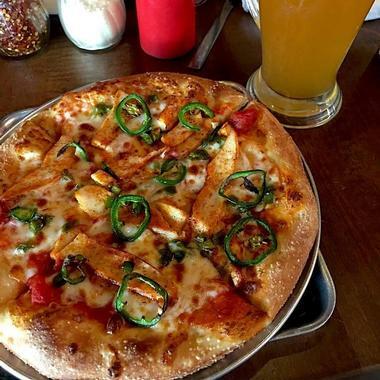 In addition to a wide choice of handcrafted pizzas with different toppings, the restaurant chain also serves fresh salads, pasta and sauces, gourmet sandwiches, chicken tenders, and decadent desserts. 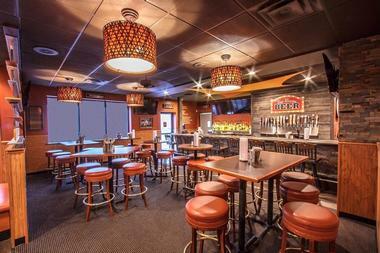 The original location of the restaurant chain on Conant Street hosts a bocce ball league every Saturday. Formerly known as Charley's Steakery and Charley's Grilled Subs, Charleys Philly Steaks is an American restaurant chain of Philly cheesesteak stores with 600 locations in 46 states in America and 16 countries worldwide. 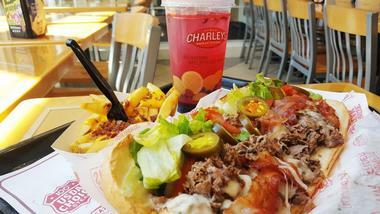 Established in 1986 as Charley's Steakery and Charley's Grilled Subs, the chain is headquartered on the campus of The Ohio State University in Columbus, Ohio, Charleys Philly Steaks is known for its grilled-to-order cheesesteaks and their signature Triple Bacon Steak Philly. Their range of cheesesteaks is served with gourmet fries, chicken wings and tenders, and beverages such as real fruit lemonades. 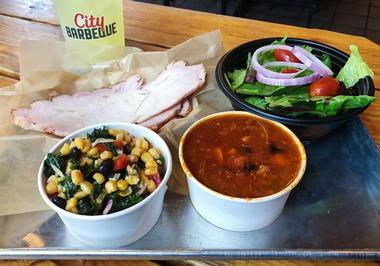 Founded by Rick Malir in 1999, City Barbeque is a fast-casual barbeque chain with 39 restaurants across six states that serves smoked meats such as brisket, pulled pork and turkey alongside traditional sides and salads. 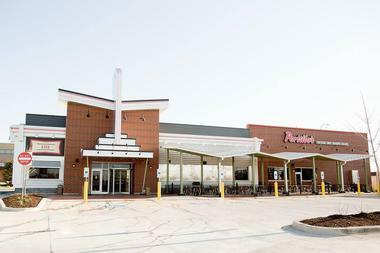 Headquartered in Dublin, Ohio, the first City Barbeque location opened in a former doughnut shop in Upper Arlington and grew into the renowned chain it is today. The restaurant serves a meat-centric menu of smoked beef brisket, pulled pork, smoked sausage, turkey breast, pulled chicken with Alabama sauce, and St. Louis–cut ribs. Traditional sides include golden fresh-cut fries, mac, and cheese, cornbread, potato salad, side, green beans with bacon, hush puppies, sweet vinegar slaw, collards with pork, side salads, and baked beans with brisket. Desserts range from peach cobbler and banana pudding to triple chocolate cake. Meats are smoked in-house on a daily basis. Cousins Submarines, otherwise known as Cousins Subs, is a Milwaukee-based sub sandwich chain with local restaurants in Arizona, Wisconsin, and the Chicago area. Founded in 1972 by cousins Bill Specht and James Sheppard, the sub sandwich shop specializes in standard sandwich shop fare, such as gourmet sandwiches, cheesesteaks, and foot-long subs on fresh home-baked bread, along with sides such as fresh French fries, cheese curds, salads, chips, and cookies. In recent years, the company has moved towards using locally sourced and regional products in a bid to support sustainability. 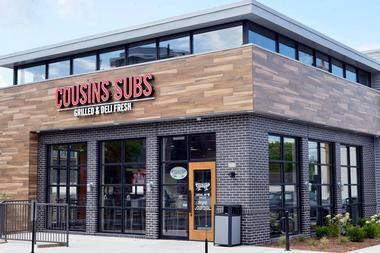 Cousins Submarines has 95 stores in Wisconsin and two in Arizona with 40 new locations opening by 2025. 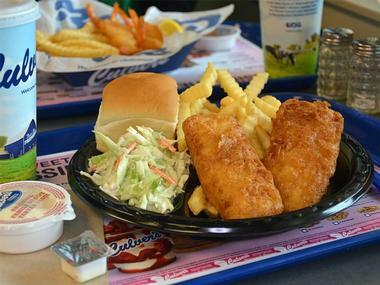 Culver's Restaurant is a private, family-owned and operated casual fast food restaurant chain that specializes in ButterBurgers, Fresh Frozen Custard and Wisconsin Cheese Curds. 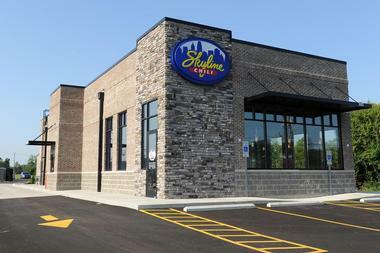 Serving primarily in the Midwestern United States, Culver's opened its first restaurant Sauk City in 1984 and is currently headquartered in Prairie du Sac, Wisconsin. Culver’s ButterBurgers are made using 100% Midwest beef, seared to perfection and served on a lightly buttered toasted bun as they have been for decades, while their Fresh Frozen Custard also remains the same today as it was originally served using the highest quality dairy, cold-pressed vanilla, and Dutch-blend chocolate. Other menu favorites include the Crispy Chicken Sandwich, Butterfly Jumbo Shrimp, hand-battered North Atlantic Cod, Chicken Cashew Salad, Wisconsin Cheese Curds, and seasonal sweet-and-summery Lemon Ice. Boasting 69 locations in Ohio, Pennsylvania, and West Virginia, Eat 'n Park is a restaurant chain based in Homestead, Pennsylvania that is renowned for its Smiley Cookies. Established in 1949 by Larry Hatch and Bill Peters as a 13-stall drive-in restaurant known as ‘Pittsburgh's First Modern Eat-in-your-Car Food Service’, Eat 'n’ Park has grown into over 75 restaurants. 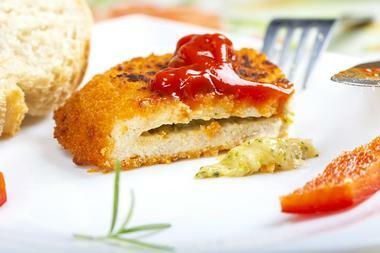 The family-owned restaurant chain serves an extensive menu of breakfast, lunch, and dinner favorites, including Soup, Salad & Fruit Bars heaving with fresh fruits and vegetables sourced locally from regional farms, hand-breaded fish, homemade chicken noodle soup, and their famous Superburger. 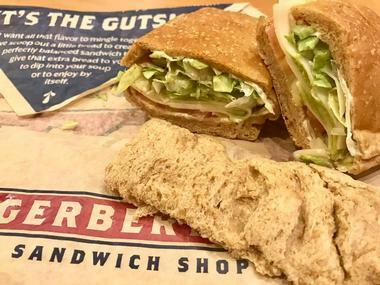 Erbert & Gerbert's is a restaurant chain specializing in submarine sandwiches. Opened in Eau Claire, Wisconsin by Kevin and Beth Schippers in 1987, the chain now has over 50 locations throughout the Midwest, most of which are located near college areas. Named after characters in stories that Kevin's father used to tell him, the eateries specialize in submarine sandwiches with no less than 16 different types on the menu such as the Comet Morehouse, Halley's Comet, Girf, and Narmer. The signature sandwich is made by scooping the soft middle of the bread out and packing it with delicious fillings and then serving the middle bits on top of the sandwich. Signature sandwiches include the Spartan; a hearty chicken-bacon-cheddar sarmie served Peppadew mustard and mayo and a side of broccoli cheddar soup. 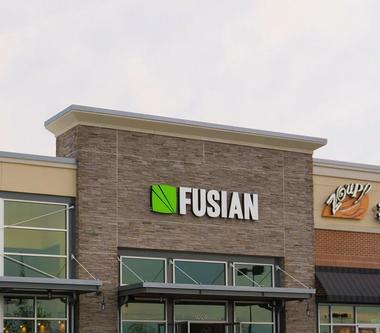 FUSIAN Sushi is a nationwide sushi chain with 11 locations and counting. Founded by brothers Zach and Josh Weprin in 2010, the build-your-own-sushi-roll concept started in Cincinnati and has since grown to Dayton, and Columbus, Ohio, with stores planned for Cleveland, Toledo and beyond. FUSIAN Sushi offers a DIY sushi experience, providing a range of wraps, proteins, vegetables, and toppings for diners to design their meal. They also provide chef-driven signature dishes and four Inspired Bowls and Rolls, each highlighting a variety of ingredients, proteins, and dietary needs such as the Highland Bowl with white rice and roasted chicken and the gluten-free and paleo-friendly Kaleo Bowl with kale and yuzu-tossed tuna. Giordano’s is a national franchise that is renowned for its award-winning stuffed pizza. Made from a recipe that was created by Mama Giordano in a small northern Italian town near Torino, Italy and has evolved over 200 years, Giordano’s now-famous double-crusted, cheese stuffed pizza continuously tops “Best Pizza” lists and dining guides. A legend in the town of Torino and a sacred tradition in the Giordano family, the famous pizza was introduced to the United States by Italian immigrants Efren and Joseph Boglio who moved to Chicago to start their own pizza business. The first Giordano’s restaurant was opened on Chicago’s historic south side in 1974 and over the next four decades evolved into the city’s go-to place for the best-stuffed pizza. 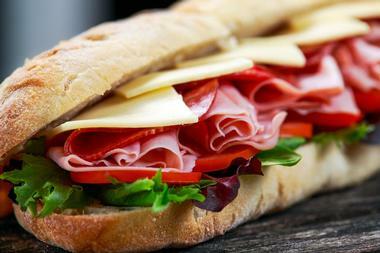 Other items on the menu include homemade pasta, fresh salads, and gourmet sandwiches. Happy Joe's Pizza & Ice Cream Parlor is a pizza parlor chain with 61 restaurants dotted around the Mid-Western United States and its headquarters in Bettendorf, Iowa. Founded in 1972 by Lawrence Joseph "Happy Joe" Whitty, the pizza parlor and ice cream palace is famous for its best-selling product, the taco pizza which is topped with refried beans, cheese, lettuce, tomato, and taco chips. 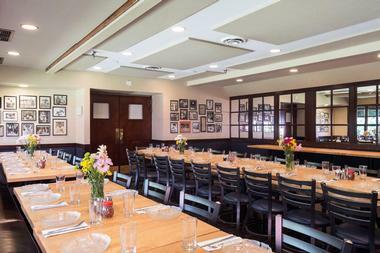 In addition to an array of unique pizzas – think breakfast pizzas and flatbread pizzas – the menu also offers homemade ice-cream in a myriad of flavors and decadent five-spoon sundaes to share. Harold's Chicken Shack, also known as Harold's Chicken, or simply Harold's, is a restaurant chain of fried chicken restaurants located primarily in Chicago, with a few locations in Iowa and Illinois. Known for its uniquely prepared chicken, Harold's has been a vital part of Chicago's South Side culture for decades and serves half or quarter chicken served with French fries, white bread, and coleslaw. Other items on the menu include chicken wings, livers, and gizzards, along with catfish, perch, and side items like fried okra, as well as a selection of mild and hot sauces and lemon pepper seasoning. 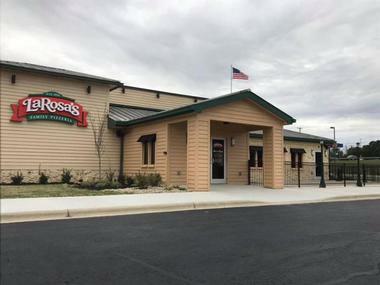 LaRosa's Pizzeria is a chain of pizzerias serving neighborhoods in Central Ohio, Cincinnati, Northern Kentucky, Greater Dayton, Southeast Indiana, and central Tennessee. Founded in 1954 as Papa Gino's by Donald "Buddy" LaRosa, Richard "Muzzie" Minella, Mike Soldano and Frank "Head" Serriano, LaRosa's Pizzeria specializes in thin crust pizza with thick, sweet sauce made from an old family recipe, and topped with cheese. The menu also boasts over 40 Italian items including homemade pasta and sauces, subs and hoagies with a variety of fillings and condiments, fresh salads and several sides. LaRosa's Pizzeria also sells branded olive oil, salad dressings, frozen ravioli, and their pizza sauce in Cincinnati grocery stores. 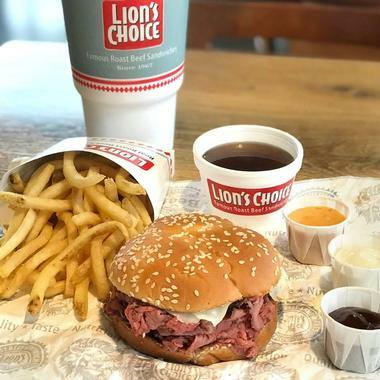 Lion's Choice, owned by the Red Lion Beef Corporation, is an American fast food restaurant chain based in St. Louis, Missouri, that specializes in roast beef sandwiches. 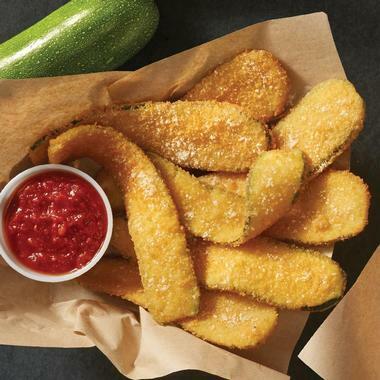 Founded in 1967 with their restaurant in Ballwin, Missouri, the chain has grown to 26 locations around the state of Missouri, three of which are franchise-owned. The restaurant specializes in roast beef sandwiches, along with other meat sandwiches such as pulled pork, turkey, ham, Italian beef, and French dip, and also serves fresh salads, soups, hot dogs, sides dishes such as French fries and desserts. A signature dish is the original roast beef sandwich served with a side of fries and a mouthwatering chocolate-dipped frozen custard cone. Famous for their Chicago-style pizza, Lou Malnati's Pizzeria is an American restaurant chain headquartered in Northbrook, Illinois with locations in the greater Chicago area, Arizona and Phoenix. Founded by the son of Rudy Malnati, who helped develop the recipe for Chicago-style pizza, Lou Malnati's Pizzeria is one of the city’s most popular pizza restaurants. The deep-dish pizza is stacked with thick slices of mozzarella cheese, and toppings like mushrooms, onions, and sausage, before being smothered in a tomato sauce made with whole chunks of tomatoes. Signature pizzas include the Lou-Mal pizza pipe, which boasts a single patty of Italian sausage below the layer of tomato sauce. 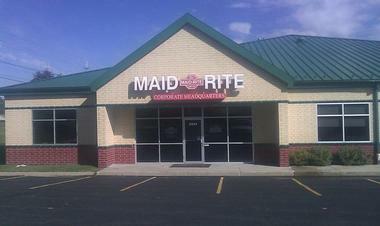 Maid-Rite is a casual dining franchise restaurant chain that specializes in loose-meat sandwiches. Founded in 1926 by Fred Angell as a single restaurant, the business grew into four franchises, and onto the more than 70 locations across the Midwest, it boasts today. Maid-Rite's signature loose-meat sandwich features perfectly seasoned ground beef loose meat sandwich served on a warm bun, while other menu favorites include breaded pork tenderloin, pulled pork sandwiches, chicken sandwiches, and beer-battered filet of cod. Don’t miss trying the Jalapeño-Rite with Cheddar and chili cheese fries. Primanti Brothers is a chain of sandwich shops that specializes in signature sandwiches on Italian bread. Founded in 1933, the chain boasts locations in Pennsylvania, Pittsburgh, South Florida, Ohio, West Virginia, Maryland, Michigan, and Indiana, and is a popular spot for lunch-goers who tuck into gourmet sandwiches stacked with grilled meat, melted cheese, coleslaw, tomato slices, and French fries. 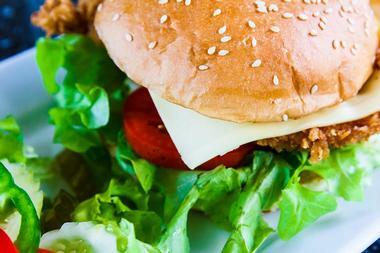 From fried jumbo baloney and cheese to oven-roasted turkey, roast beef, pastrami, and Angus sirloin steak, you will be hard pressed to choose what meat to fill your gourmet sandwich with – and add a bowl of fresh chili or salad on the side. Skyline Chili is a chain restaurants specialising in fresh chili bowls that is based in Cincinnati, Ohio with other locations in Indiana, Kentucky, and Florida. Founded in 1949 by Nicholas Lambrinides, who was born in Greece, Skyline Chili is named after the beautiful city skyline that he could see from his restaurant which he opened in the Price Hill neighborhood. The menu boasts signature dishes such as cheese coneys - hot dogs topped with mustard, onions, cheese, and the famous Skyline Chili, a sauce made with Texan meat that gives a kick; homemade spaghetti smothered in Skyline Chili and cheese known as 3-ways, which can also have beans and onions added if desired. Skyline's famous chili, canned chili sauce and frozen microwave meals can be bought in supermarkets, and Skyline Chili is the "official chili" of many local professional sports teams such as the Cincinnati Reds and Cincinnati Cyclones. 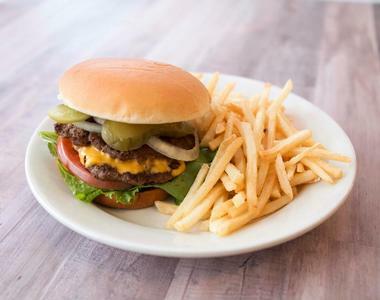 Steak 'n Shake is a casual restaurant chain that originates from the Midwest and boasts over 600 locations all around the country, as well as Europe and the Middle East. Founded by Illinois-born Gus Belt in 1934, who converted a gas station and restaurant he owned into the first Steak 'n Shake, the restaurant serves all-American cuisine such as hearty burgers, hot dogs, sides, and mega milkshakes, however, despite the name, does not serve steaks. 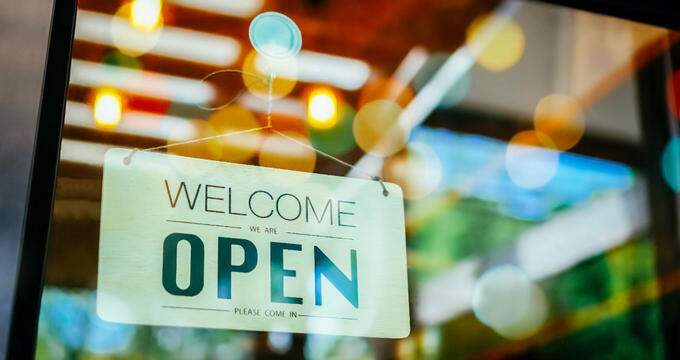 Many of the restaurants are open 24 hours a day, seven days per week, and feature diner-style sit-down eateries, drive-through, and front-window services. Opened by Doug Kidd in 1973, the very first Submarine House was located on Brown Street near the University of Dayton and introduced East Coast-style cheese steak subs to the area, which became so popular, the meal became the trademark of Submarine House. Today, the franchise chain still serves the signature Cheesesteak sub, along with a variety of other subs – both plain and toasted, sandwiches, pizza, fresh salads, sides, and more. 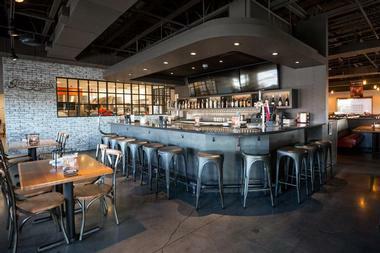 Some of the restaurants are full-service bar-and-grill-style eateries, while others just restaurants and there are locations around Greater Dayton and Columbus. 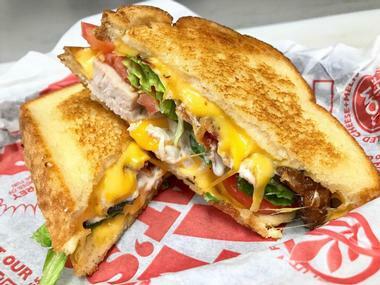 Tom+Chee is a grilled cheese and tomato soup shop that serves a variety of grilled cheese sandwich combinations, fresh soups and salads, and seasonal favorites like gazpacho and blue cheese chili, using fresh locally sourced ingredients. Founded in a tent on Fountain Square in Cincinnati, Ohio, the eatery has grown into a top lunch spot which is renowned for roasting their meats, making dressings and sauces from scratch and offering gluten-free bread, vegan/vegetarian soups, vegan cheese, and homemade basil pesto for nut-allergy sufferers. Tom+Chee currently has eateries in 14 states around the country. White Castle is a regional hamburger restaurant chain in the Midwest with additional locations in Las Vegas, Nevada, throughout the New York Metropolitan Area, and one in Shanghai, China. Renowned for its small, square hamburgers, which are sometimes referred to as sliders, White Castle was founded by Walter Anderson in 1916 and has since grown into one of the country’s popular fast-food chains. The legendary institution serves a soft little hamburger on a tiny square bun, along with cheese, salads, and sides of golden French fries. 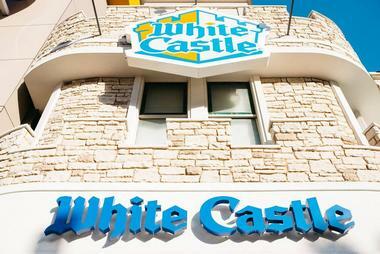 There are 420 White Castles nationwide, and none are franchises. 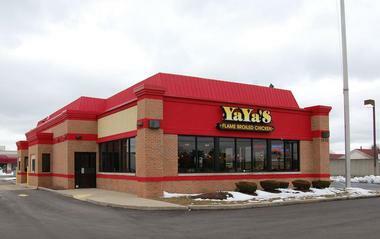 Combining Midwestern comfort food and Mediterranean cuisine, YaYa's Flame Broiled Chicken is a small chain that focuses on flame-broiled chicken and other chicken dishes. 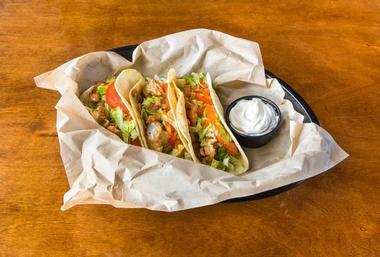 Located throughout Mid-Michigan and with three locations in Florida, YaYa's serves chicken in a variety of ways from flame-broiled off the grill, served on-bone with mac and cheese, or chilled and stuffed into a pita. Also on the menu is chicken salads, chicken sandwiches, chicken noodle soup, and chicken dinners for the family. Sides include honey butter, mashed potatoes, and mac and cheese to make a full meal of any chicken dish.